Vases are an easy way to make a statement and give you an excuse to always have fresh flowers in your home. Here are some of our favourite stylish vases for less than $50. 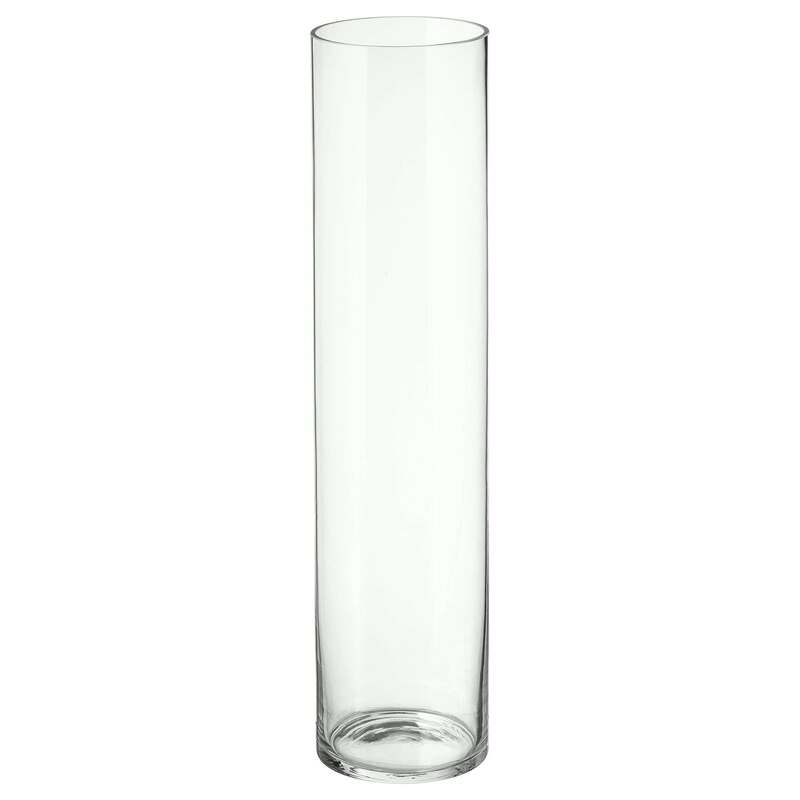 These tall, cylindrical vases are perfect for filling empty corners and activating dead zones within your home. You can pick up one at Ikea for $39.99 and fill it with either large leafy branches or (for a low-maintenance option) bare twigs and sticks. This vintage-style vase is classic and versatile. It can hold small to medium sized bouquets of flowers and, thanks to its minimalistic look, it fits in with all kinds of interior design styles. 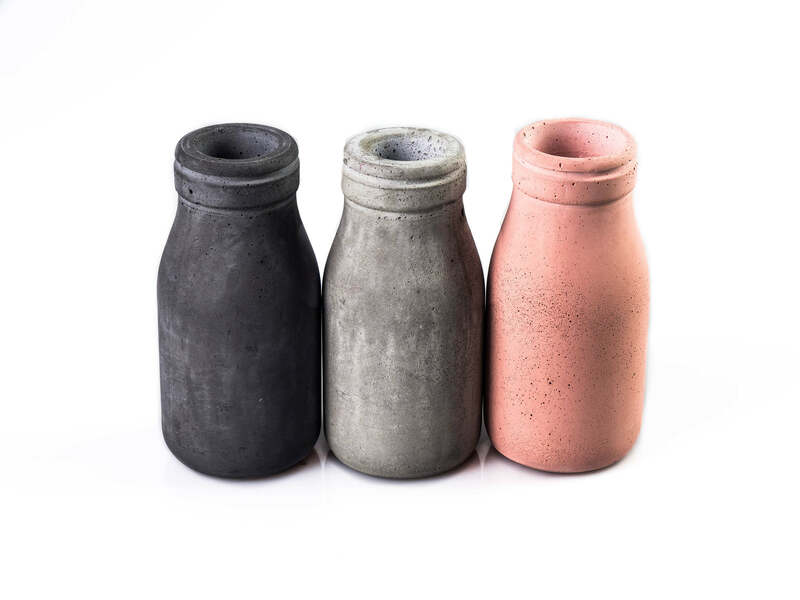 Check out this Heidi Clear Glass Vase from Myer, or for a little pop of colour, there are these cute Concrete Milk Bottle Vases on Etsy. 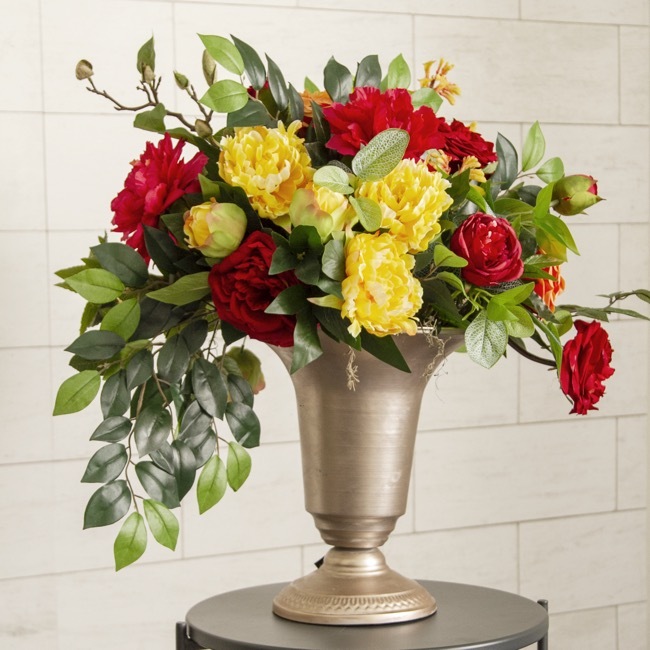 One of the more traditional styles, the bouquet vase has a flared-out opening which gives you plenty of room to show off a bouquet of flowers. These make a great accent piece in a lounge room or can act as a centrepiece on a table near your home’s entrance. We like this wooden bouquet vase from Target and this Lady Diamond Vase (as shown below) from Myer. 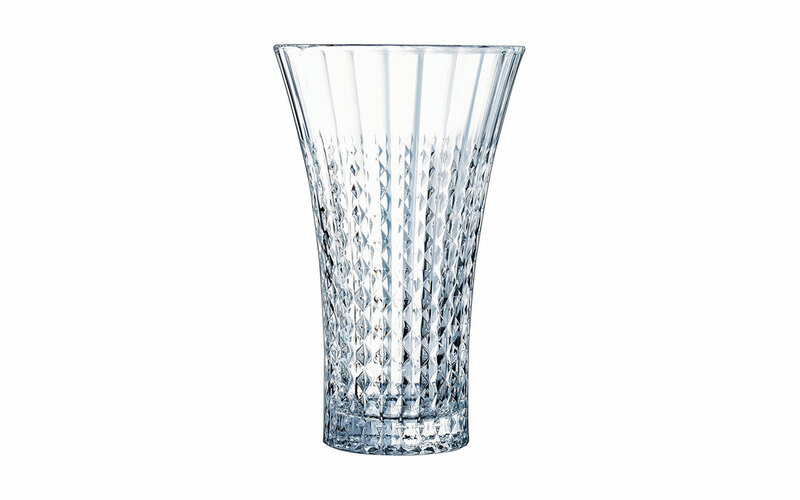 Beautiful and elegant, this type works well in a bar area and as a smaller feature piece. Arranging flowers in this type of jar can be tricky but the effort pays off as they make a bold and dynamic statement. 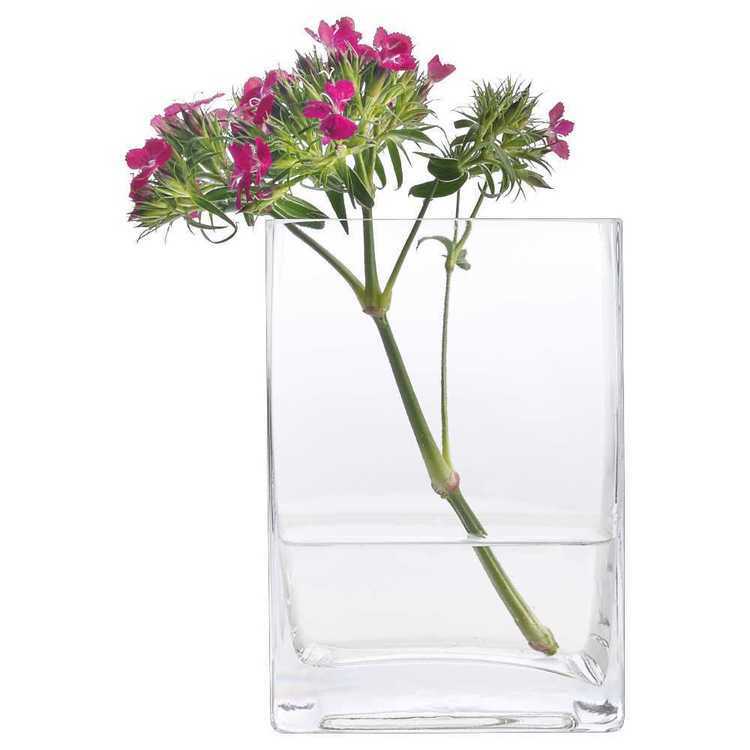 You’ll want to let the flowers steal the show so pick up this stylishly simple square vase from Spotlight. These are great for floating flowers like orchids — you can even put candles in them and scatter rose petals around the candles for an added level of detail. 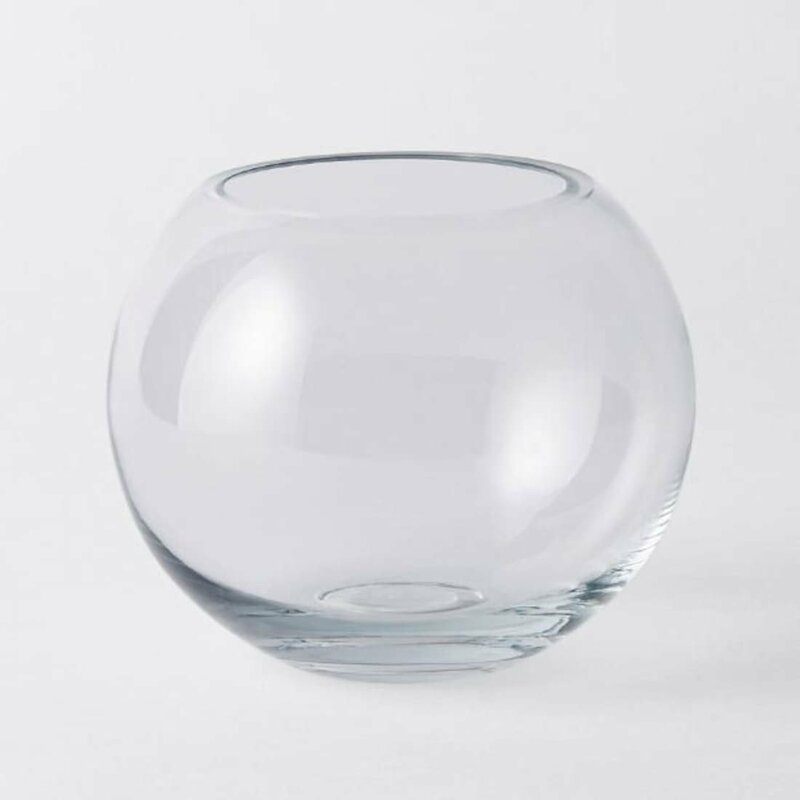 Check out Ikea’s Tidvatten bowl vase or this fishbowl glass vase from Target. You can put flowers in it, or leave it empty. Either way, you’re sure to make a statement with this kind of vase. Opt for this elegant Metal Flute Vase or this Metal Trumpet Vase (as shown below) from Koch & Co.
Read more about interior design and decorating here.